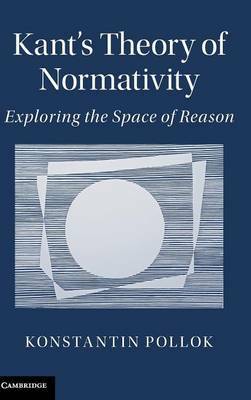 Konstantin Pollok offers the first book-length analysis of Kant's theory of normativity that covers foundational issues in theoretical and practical philosophy as well as aesthetics. Interpreting Kant's 'critical turn' as a normative turn, he argues that Kant's theory of normativity is both original and radical: it departs from the perfectionist ideal of early modern rationalism, and arrives at an unprecedented framework of synthetic a priori principles that determine the validity of our judgments. Pollok examines the hylomorphism in Kant's theory of normativity and relates Kant's idea of our reason's self-legislation to the 'natural right' tradition, revealing Kant's debt to his predecessors as well as his relevance to contemporary debates on normativity. This book will appeal to academic researchers and advanced students of Kant, early modern philosophy and intellectual history.